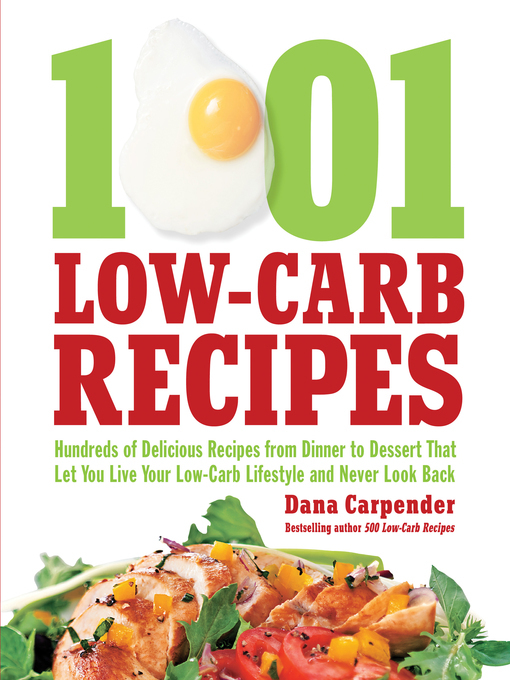 Drawing on the best 1001 recipes from Dana Carpender's bestselling books including 500 Low-Carb Recipes, 15-Minute Low-Carb Recipes, 500 More Low-Carb Recipes, 200 Low-Carb Slow Cooker Recipes, The Low-Carb Barbeque Book, and Low-Carb Smoothies. You'll find delicious and varied options including recipes for "high-carb" foods you thought you had to give up forever such as Cinnamon Raisin Bread and Mocha Chocolate Cheesecake. Staying the low-carb course will be easy with choices from barbecue to slow-cooker to internationally-inspired dishes.